Brother Jesse Blog: Oscar Grant & Mumia: What is Black life worth in America? 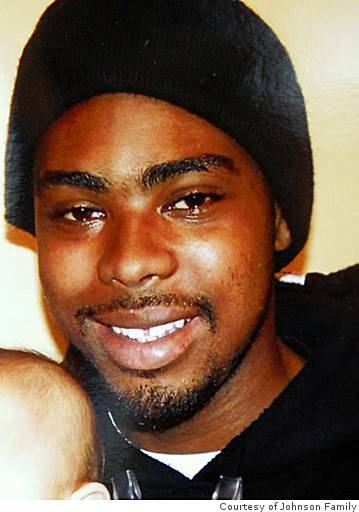 Oscar Grant & Mumia: What is Black life worth in America? Let me be very candid and straight to the point. This is not a post-racial America. This broken system of America is a joke to the fullest and could care less about giving justice to the Black people within its borders. We were brought to these shores to be made into slaves and have since been treated as second class citizens. I think animals get better treatment, more advocacy and justice in this country than we do. The evidence dates back to when we first arrived here in 1555, but I’m going to touch on what just happened a few days ago on November 5, 2010. 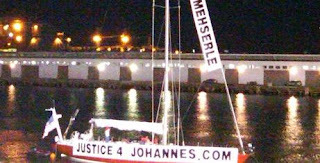 I, like millions across the country, stood by online awaiting the sentencing of former Bay Area Rapid Transit (BART) Police Officer Johannes Mehserle in the case of the New Year’s 2009 shooting death of Oscar Grant in Oakland. I was tweeting updates given to me during breaks by Final Call National Correspondent Charlene Muhammad, who has been following this case since day one and was inside the courtroom during the sentencing. Did I expect justice? No. Did I expect this White officer to get away with murder? Yes. Then it was announced that Mehserle was sentenced to two years in prison plus time served. Two years? The Judge doubled Mehserle's 146 days served so that means he will be eligible for release within a year. The Judge even had the nerve to blame Oscar Grant for his own death. According to Sister Charlene, Oscar Grant’s mother and the rest of the family walked out of the courtroom in disgust. This is a shooting that was captured on handheld video recorders and multiple cell phones. The gruesome footage has had hundreds of thousands of views on YouTube. Here is one of them below. Have you seen it? Watch it for yourself. Mehserle testified that he “accidentally” reached for his gun when he meant to reach for his Taser. Yeah Right! This White man murdered an unarmed, handcuffed Black male and will be walking back on the streets of America in a few months. President Obama, will you address this in one sentence, one tweet, or one video message? Why is it deemed “un-Presidential” for you to speak out when a wrong is done to Black people? You defend the rights of everyone including gays, yet you ignore the plight of Black people. We love you brother, but come on. Where do you stand on this, Eric Holder? It is crazy that NFL quarterback Michael Vick served 21 months in prison plus two months in home confinement for dog fighting, yet Mehserle gets away with killing this Black male. Are dogs, man’s best friend, more valuable than Black life in America? It appears so. 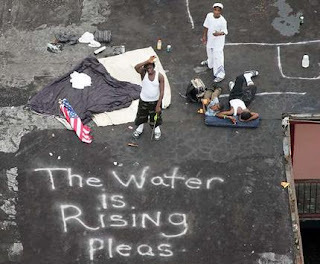 I remember seeing images during Katrina of dogs being transported to safety on charter buses while Black people were left stranded on rooftops. 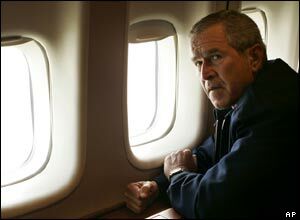 Even President George W. Bush was comfortable looking over the disaster from the window seat of his plane. At that time, Kanye West said on a Hurricane Katrina telethon, “George Bush doesn’t care about Black people.” I agreed, and now we should just say “America as a whole doesn’t care about Black people.” Bush, in a recent interview on NBC, said Kanye’s words were “one of the most disgusting moments in my presidency." No, what’s disgusting has been the treatment of Blacks in this country. What’s disgusting is the attack on strong Black organizations and leaders by the FBI’s COINTELPRO. What’s disgusting is sending citizens overseas to fight unjust wars in the name of protecting freedom when it’s really about control of oil. What’s disgusting is the educational system of America that graduates functional illiterates. What’s disgusting is the unjust imprisonment of Mumia Abu Jamal and other political prisoners. In Philadelphia, on November 9th, the US Third Circuit Court will hear oral arguments concerning whether or not Mumia will be executed without a new trial. If the ruling is against Mumia, he could then be executed despite being innocent. 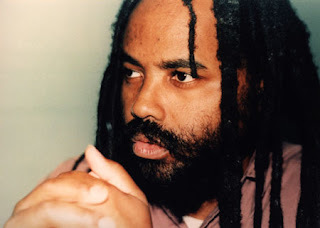 For the last 28 years, Mumia has been on 23 hour lock down. Will America kill another innocent Black man? 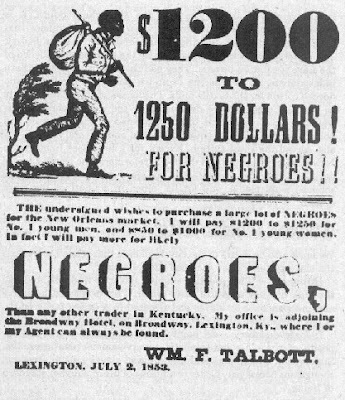 What is Black life worth in America? Less than a dog. Some 160 people have been arrested in Oakland for protesting the weak sentencing of Mehserle. Black people: Justice is just that…..Just-Us. I’m not waiting on the Democrats or the Republicans. I’m waiting on you. This absolutely needed to be said and needs to be said by more of us and more often! This is the DANG TRUTH!!!! such a thought-provoking blog Brother Jesse. I have yet to read a better editorial. Ha! and Bush was on Oprah the other day. Sickening. Kanye is such a PAWN for apologizing. I am so sick of weak Black activists, music artists, preacher, scholars, etc who won't speak out against injustices like this. At least Brother Jesse has the guts to say something plus he works in the community. Keep going young man. I am sooooooooooo pissed off by this. Since I'm on your blog brother jesse I'm going to keep it PG. This White pigs will NOT stop until they taste what they dish out. 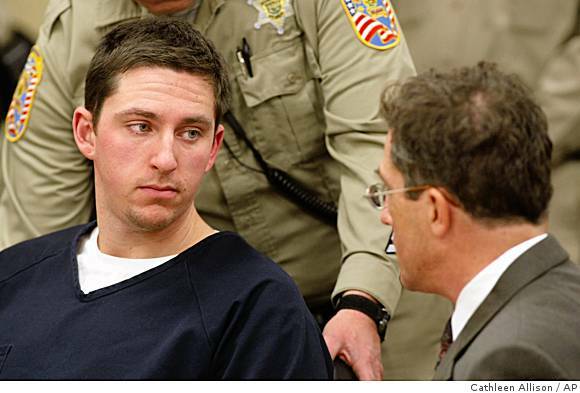 This racist cop murdered this black man without consequence and in truth he shouldve received the death penalty instead this slap on the pinky finger--not even the whole wrist! I'm responding to this by getting int he streets and raise the minds of our people. Let's ORGANIZE, UNITE and FIGHT BACK strategically! Thanks for the comments. 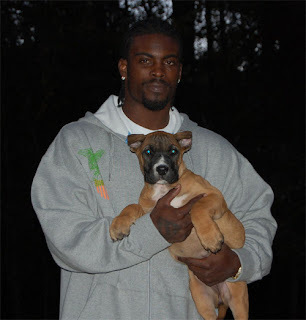 Now that Vick set a NFL record on this past Monday Night, I wonder if PETA will leave him alone? Probably NOT!